JEFFREY F. COOK SENIOR, 70, of Boise, passed away May 4, 2011, at his home, with his family around him. Jeff was born May 13, 1940, in Pittsburgh, Pa., to Selbert L. and Dorothy A. Cook. He spent his early life in Peapack-Gladstone, New Jersey. As a teenager, he moved with his family to Edina, Minnesota, where he graduated from high school. He attended college at Hamline University in St. Paul, Minnesota. He graduated with a B.S. in Physics. It was there that he met and married his wife, Adena. The young couple moved to Hartford, Connecticut, where Jeff found employment at United Aircraft, helping develop fuel cells to power the Gemini spacecraft. He obtained a master’s degree in metallurgy from Renssalaer Polytechnic Institute. They spent many weekends and vacations at the Cook family camp on Sebec Lake in Maine, using it as a base from which to hike the remote Maine mountain trails. In 1966, Jeff and Adena moved to St. Louis, Missouri, where Jeff worked in nondestructive testing at McDonnell Douglas Aircraft. Building on his increasing interest in bluegrass music, he started an all-bluegrass radio show on a local AM radio station that reached deep into the Ozarks. He was a DJ, played guitar and sang lead in a band and helped found the Missouri Area Bluegrass Committee to promote preser-vation of the music. MABC put on festivals and shows, and still continues to do so. The family grew with the addition of their sons, Jeff Jr. and James. In 1974, the family moved to Idaho Falls, Idaho, where Jeff worked in nondestructive testing at Idaho National Engineering Laboratory. He became a marathon runner and completed over 20 marathons, including Boston, New York, Twin Cities, Golden Spike, Governor’s Cup in Helena, and Boise. Jeff was an avid trail motorcycle rider, and involved his sons in the sport. From the beginning, he actively defended trail bike access to public lands. He helped found the Idaho Falls Trail Machine Assn., and was twice president of the Idaho Trail Machine Assn., organizations that thrive to this day. Jeff and Adena became enthusiastic snowmobilers, riding thousands of miles each year in their favorite areas: Bone, Island Park and Grey’s River in Wyoming. For many years, they rode on vacations with the S&W Adventure Riders in Colorado, Wyoming and Idaho. Due to Jeff’s declining health, and to be closer to family, they moved from Idaho Falls to Boise in September 2010. He is preceded in death by his mother, Dorothy A. Cook; father, Selbert L. Cook; and his brother Charles A. Cook. Jeff is survived by spouse, Adena; sons, Jeff Jr. (Sue) of Boise and James (Noa) of Logan, UT; grandchildren, Veronica, Laura, Ben and Rebecca; sisters, Betsy (Larry) Hoekstra and Jeanne (Paul) Klainer; and sister-in- law, Gail Cook. A memorial service for Jeff Cook Senior was held at Hillview United Methodist Church, Boise. 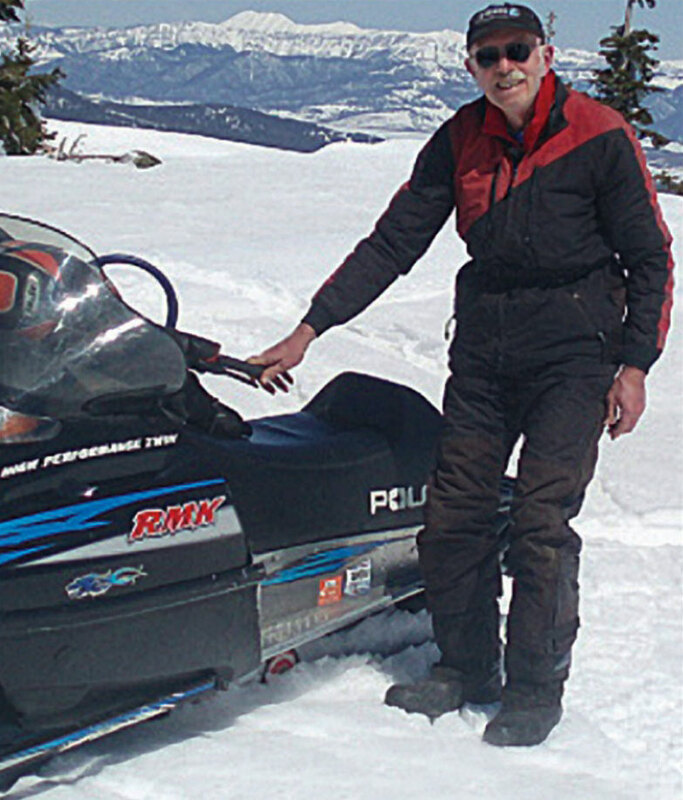 Anyone wishing to make donations or memorials in his name should be directed to the Idaho State Snow- mobile Assn. Scholarship Fund, 10400 Overland Road, PMB 384, Boise, ID 83709 or the BlueRibbon Coalition (see button below).